Diaspora Lanka and the Mannar Chamber of Commerce are developing a community-based tourism strategy for Mannar. The strategy, positioned within the Government’s Tourism Strategy 2011-2016, includes a suite of 22 projects from substantial to modest that will affirm Mannar’s uniqueness, honour its rich cultural heritage and history and bring increased wealth to the people and businesses of Mannar District. 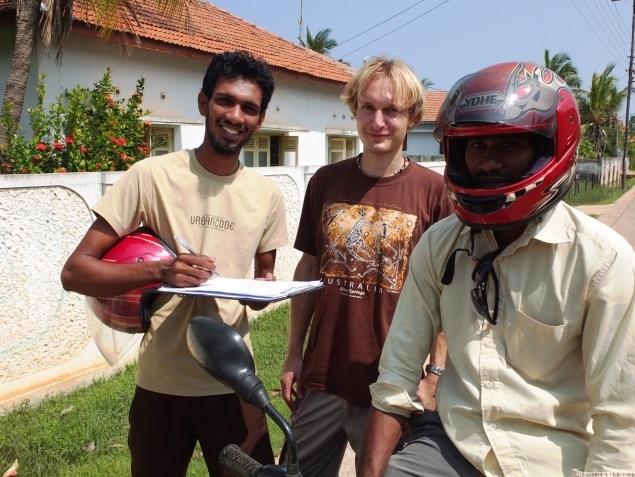 • Tauri Tampuu, a Diaspora Lanka volunteer from Estonia, has come for a three-month term to head a team that has been busy working on the strategy. • Two major planning sessions were held, one at the start of the project and one two months later, to scope the strategy and identify the action projects. • A high-level meeting was held with members of a World Bank consortium made up of the International Finance Corporation, TRC Tourism, Total Management Solutions Company, UrbanArc, Hitesh Mehta Design and Palmyrah House that had commenced exploring how to promote Mannar as a tourist destination. The consortium digested all our reports (including Mannarin Marumalarchi 2022, the town planning workshop and our Diaspora Fact-finding Mission reports) and met with us again to further discuss our tourism strategy and projects. • The Chamber of Commerce and Diaspora Lanka were invited to present our strategy at a district-wide tourism meeting hosted by the Government Agent and the consortium. • The consortium is finalising their report and recommendations. They indicated that there would be a role to play for the Chamber and Diaspora Lanka. • Explore investment opportunities in Mannar’s fledgling tourism industry at a time of minimal development and competition. • Provide advice and expertise in sustainable tourism and support the tourism committee. • Ensures local employment and community benefit.